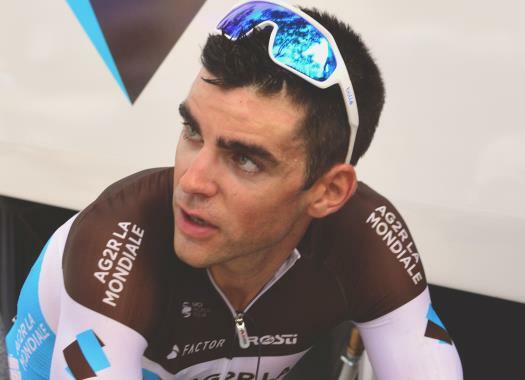 Tony Gallopin (AG2R La Mondiale) has taken the victory of the seventh stage at the Vuelta a España. The Frenchman attacked in the last kilometre and crossed the finish line five seconds ahead of the pack. The riders went through a 185.7-kilometre route between Puerto Lumbreras and Pozo Alcon at the seventh day of the race. The escape of the day was formed by seven riders and included names like Alexis Gougeard, Michael Woods and Floris De Tier. This group built a gap of more than three minutes with the peloton, which was pulled by teams like Groupama-FDJ, Movistar and Bora-hansgrohe to control the pace. At the last classified climb of the day, there was crashed of riders like Mitchel Docker, Tiesj Benoot and Simone Petilli, while Michal Kwiatkowski hit the deck at the descent. The escape group was caught at the last ten kilometres and in the last five, there were attacks by Jesus Herrada (Cofidis) and Nairo Quintana (Movistar), which were repelled as Tony Gallopin launched a strong attack that gave him a gap big enough to cross the finish line five seconds ahead of the others. Peter Sagan (Bora-hansgrohe) and Alejandro Valverde (Movistar) crossed the finish line in the second and third position, while Rudy Molard (AG2R La Mondiale) kept the GC lead by arriving to the end with the main pack.